Photo by Doug Loyer The Miss Sterling sternwheeler pulls away from the Ohio River Levee on Sunday morning. 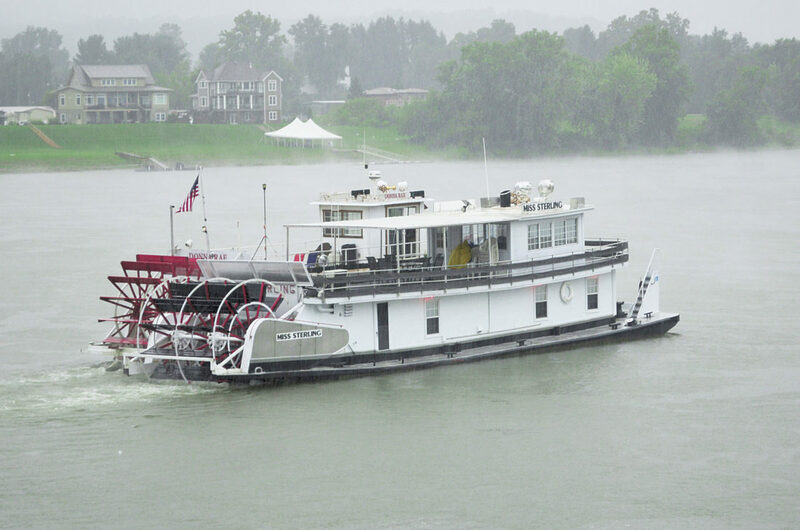 MARIETTA — The organizers of the Ohio River Sternwheel Festival were glued to the weather reports over the weekend as rainy weather moved into the area. The festival’s activities on Friday and Saturday were mostly unaffected, but much of the entertainment and activities for Sunday were canceled due to a flood watch that was in effect through this evening. To close out the festival on Sunday, some concession stands were still open and the closing act Phil Dirt and the Dozers performed in the Lafayette Hotel Ballroom during the afternoon. Frederick is proud of the Sternwheel Festival committee and how dedicated they are, always willing to help to produce the best festival possible. Considering the circumstances, overall everything worked out as well as possible. The weather cooperated enough for Saturday night’s traditional fireworks display to go off before a good crowd. Earlier in Saturday evening, this year’s Queen Genevieve was crowned with Kirsten Hannah, 21, of Belpre, receiving the title. With the prediction of rising waters, most of the sternwheelers moored at the Ohio River Levee left by mid-Sunday morning so they could safely get to their next destination without incident. “That’s Mother Nature for you. 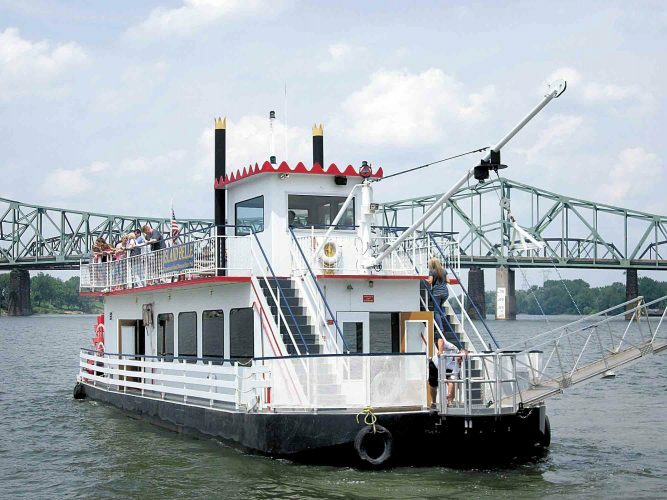 That’s to be expected once in a while,” said Jim Kranz of Charleston, captain of the Donna Rae, a sternwheeler that he has owned for over four years. “It’s a shame for so many people. “We hate this for Marietta … that the weather didn’t cooperate, but you can’t fight Mother Nature. That’s part of playing with the river,” said J.D. Pauley of Nitro, W.Va., and captain of the Hobby III. Pauley said they always have a good time at the Ohio River Sternwheel Festival, enjoying the camaraderie. They also plan on heading to Parkersburg to see how the weather pans out. He was concerned about the weather report and how Hurricane Florence coming off the east coast could possibly effect this area. 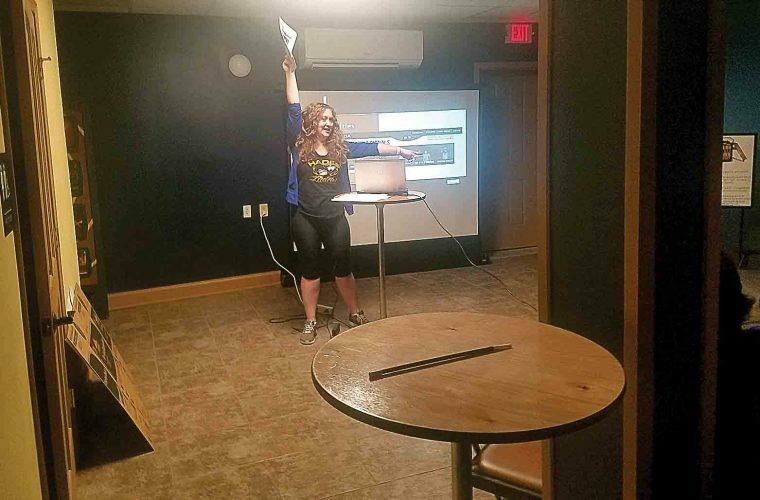 “Sternwheeling is a family affair with us,” said J.D.’s wife Becky Pauley who also serves as the first mate on the Hobby III. “My son Cory Fagan has the Henny Cook. Eads has owned his boat now for five years. He had another boat before that for seven years.